National Express has announced it will not be proceeding with a contract to operate Nuremberg S-Bahn services from 2018. Explaining the decision, National Express said it would be unable to introduce a new fleet of trains from the start of the contract as it had hoped. 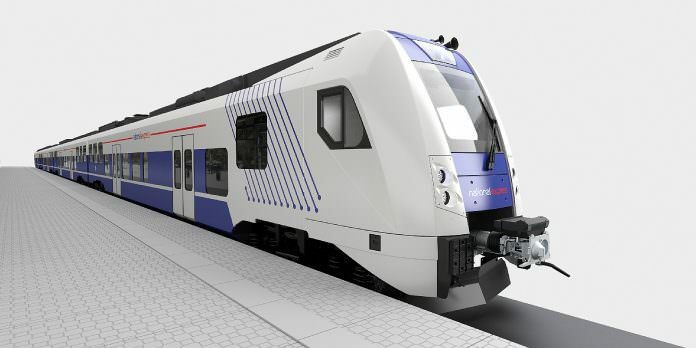 The arrival of the new trains would have been “substantially delayed” as a result of a series of legal challenges brought by the incumbent operator, Deutsche Bahn. The Bavarian Railway Authority (BEG) announced National Express as the preferred bidder for the 12-year Nuremberg S-Bahn contract in February 2015, but the decision has been subject to various legal reviews and challenges ever since. As a result, National Express has now told BEG “that it is no longer in the interest” of the company to proceed with the contract and could result in “prohibitive additional cost”. Confirming National Express’ withdrawal, BEG said it plans to revaluate the bids and announce a new winner by the end of the year. National Express stressed its commitment to the German rail sector and said that BEG “understands and respects” the decision. In its quarterly trading update, National Express said: “We remain fully committed to the German rail market and are planning to submit a number of bids within the next year. Our prudent and disciplined approach to bidding will continue. As a whole, the Q3 trading update was more positive. Rail revenue has increased by 43 per cent in the year to date following the company’s takeover of Rhine Munster Express (RME) services in December 2015 and, coupled with growth in other areas of the business, the group overall is in line to meet its profit targets. National Express is also planning to submit a bid to operate the Casablanca Tramway, a contract which comes up for renewal in 2017.